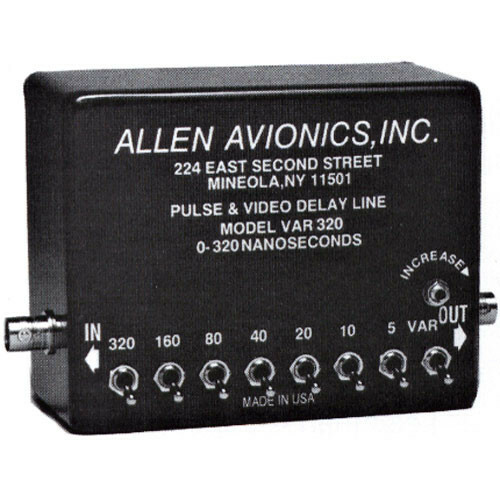 This "in line" video delay utilizes front mounted toggle switches and a fine trimmer to adjust video delay parameters; it is useful in matching video sources with varied cable runs. A video delay will take the place of the mound of coiled coax that some studios use to time equipment. Toggle switches are used to adjust the main timing parameters. A fine "trimmer" adjustment is available to make small adjustments to the delay signal. Dimensions (WxDxH) 1.31 x 4.375 x 2.375"